‘The Child’s is a haunting and emotional character-driven suspense novel that also explores our modern-day obsession with 24/7 news. Angela’s newborn baby was kidnapped from her hospital room several decades earlier. The baby was never found. Angela and her husband Nick carried on after their devastating loss but Angela never fully recovered. When the bones of an infant are found at a construction site, she is sure the body is that of her long-gone Baby Alice. Kate is a brilliant newspaper journalist who uncovers news stories the old-fashioned way: through leg work and research and determination. She was also featured in the author’s previous book ‘The Widow’ which I am now going to read! I loved Kate’s style. 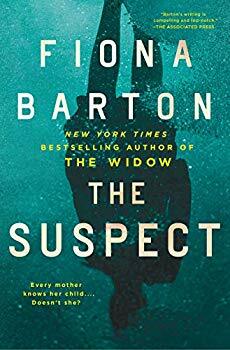 While this book started off just a tiny bit slow, it picked up the pace in the middle and thundered toward an unbelievably shocking conclusion. Emma is married to a university professor many years her senior. She is devastated by the news of the “Building Site Baby’ but why? She has no apparent ties to Angela’s family. Emma has had a difficult relationship with her mother Jude but it seems the two are trying to make peace with each other now that Emma is grown and married. But Emma has secrets of her own that will devastate everyone close to her when they are revealed. The multiple points of view are executed brilliantly. Each narrator has their own unique voice and are each vital to the story. ‘The Child’ is an imaginative and surprising thriller. While the writing is filled with British slang and customs, that only added to my enjoyment of the story. There are many twists and turns to this book and the ending was far more touching than I expected from what I though would be a suspense novel. The conclusion was enormously satisfying! Highly recommend this book for all thriller fans as well as anyone who loves a great story. Visit Fiona Barton online at fionabartonauthor.com and on Twitter @figbarton. Join the conversation using #TheChild.